CT imaging is useful for healthcare therapeutic decision-making. Infarctions which are caused by stroke and extensive bleeding are types of conditions that are imaged. Subarachnoid hemorrhage and a ruptured aneurysm are imaged. Seeing the conditions clearly makes a huge difference in choosing between different treatment options. CT is a primary diagnostic tool in oncology. It is used to detect cancer, for oncologic treatment follow-up and in curing the lung diseases. Additionally, in emergency care, CT has become the primary test for trauma, stroke or chest pain. The growth of CT scan in the field of diagnostic imaging has had a declining impact on the growth of the x-ray market, which is slowly being phased out since past few years. The trend is more evident in developed markets, such as the United States and Western Europe. The growth potential for CT scanners in emerging markets is still high, where x-ray accounts for a large share of the medical imaging market. In these regions, the application of CT scans is still restricted to oncology only, and used primarily for the diagnosis of cancer. This report identifies the global CT scanners market size in for the year 2014-2016, and forecast of the same for year 2021. It also highlights the potential growth opportunities in the coming years, while also reviewing the market drivers, restraints, growth indicators, challenges, market dynamics, competitive landscape, and other key aspects with respect to CT scanners market. Geographically North America dominated global CT scanners market, and Asia Pacific is projected to have fastest growth, owing to large presence of baby boomers, increasing burden of chronic disease (cancer) and immergence of CT scanners as a standard imaging procedure. 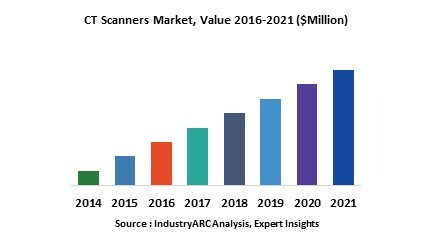 Table 27 " CT Scanners Market By Type, Revenue & Volume, By Medium Scanner Systems, 2018-2023 ($)"